Next door to the lovely Beatrix is another slice of local makers heaven. Guild of Objects (affectionately known as Guild) is a retail store, exhibition space, and social craft workshop that emerged to support a new generation of Australian makers, crafters, artists, and artisans. 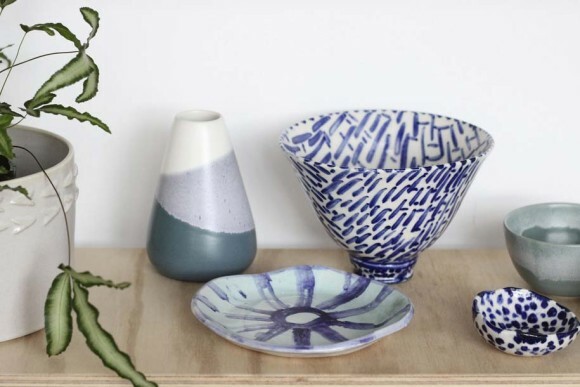 Started earlier this month by three small batch potters – Brooke Thorn, Chela Edmunds and Tao Oudomvilay (who met whilst working out of Elm Place Studio in North Melbourne), Guild aims to foster neighbourhood interaction, artist experimentation and a general love of the handmade object. 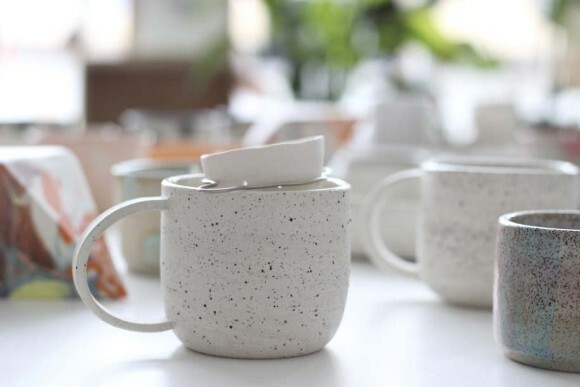 Last Wednesday night, desktop rolled up its sleeves and RSVP’d to a ‘Clay Social- Make a Cup Class’ and now, thinks you should too. 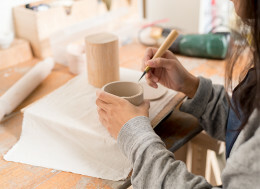 Run by Chela Edmunds from the Melbourne based ceramics label Takeawei, the class suits any skill level, so you don’t need to be Valentine Schlegel to ace the class. The best part of the deal is you can take home whatever vessel (or bowl, planter or ramekin) you make, and put it to good use. 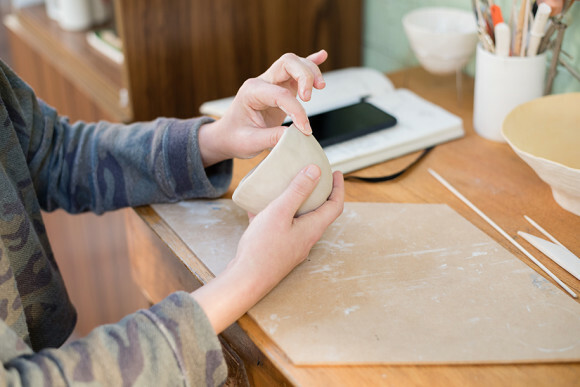 Using grey, groggy clay, you will learn the basics of hand building and the importance of avoiding cracks and air bubbles at all costs; but thankfully, also how to fix them. Materials and firing is provided for a one cup size vessel but if it turns out you are a bit of a Valentine Schlegel, you can make as many as you like for a small fee of $6 per piece. 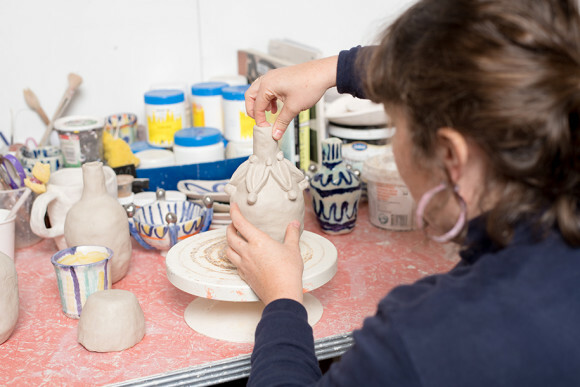 Your pieces will be clear glazed, fired and ready for collection from Guild two weeks after class, so get cracking on that cupboard clear out. The next set of classes are on Tuesday 18 August, or Wednesday 26 August 2015, and with only 10 spots available for each class, we recommend that you get in quick. Bookings and information on Guild’s other classes and workshops, including Jessilla Rogers ‘Make a Vase’ class can be found here.